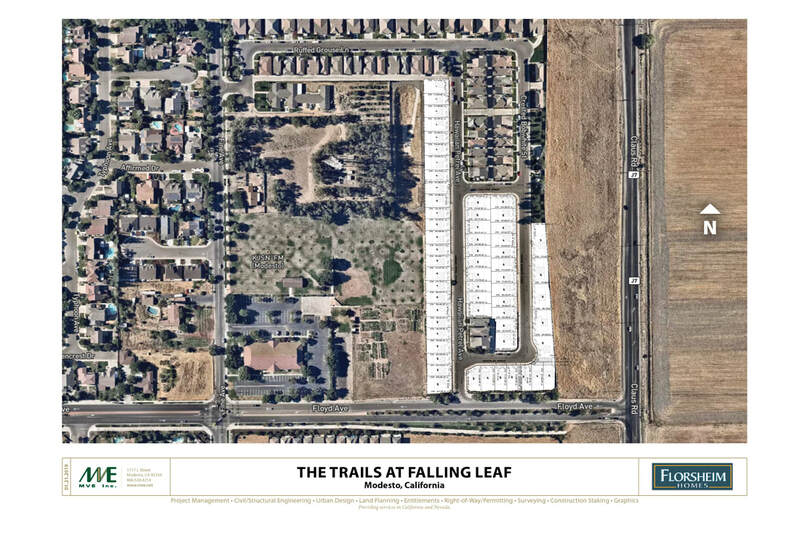 The Trails at Falling Leaf - MVE, Inc. MVE, Inc.
For years, the subdivision at The Trails at Falling Leaf in Modesto seemed to have stalled with just a number of lots sitting vacant. As the housing market has significantly improved, MVE is working with Florsheim Homes again to finalize the plans for The Trails at Falling Leaf. It won’t be long before construction begins.